Each of the elements of our school has a purpose and each part of our school works in terms of growing creative, independent adults who are great human beings. Elementary Student Schedules Elementary students at Bixby have an individualized schedule where each student moves to different classrooms to learn with subject-matter experts. Read more HERE about our scheduling approach. Swimming At Bixby One of the things that makes Bixby truly unique is our swim program. Starting with our youngest students in Preschool, all students swim. Like all things at Bixby, there is a purpose behind our swim program that directly supports our school mission and core beliefs. So, WHY is there swimming at Bixby? Read here to learn more. The Importance of Play! 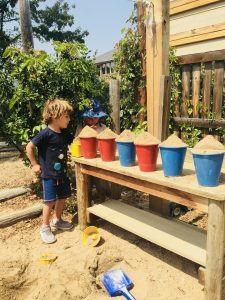 Research has shown the critical importance of play to healthy child development and academic learning. Here at Bixby, play is found in many aspects of our day from hands on projects in our classrooms, role playing in music class, questing and fun games in lower yard, and choice of play during WIN/Free Time. Read more about why play is an important part of child development.